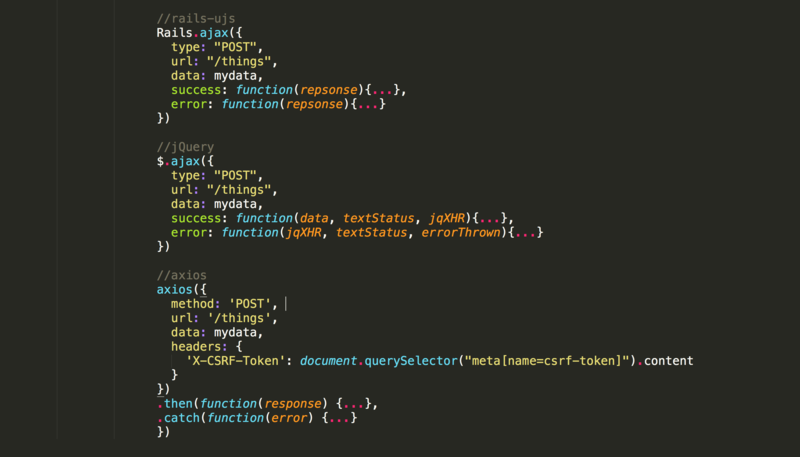 One of the most common use cases for jQuery in Rails was making AJAX calls through forms and links. If you’re using Rails 5.1 for the first time, you might get confused about how to make AJAX calls, especially things like data formats and including CSRF tokens. So this little tutorial walks you through a few ways you can do so. If you're using a standard Rails form or link for AJAX calls, Rails still offers some great in-built methods. 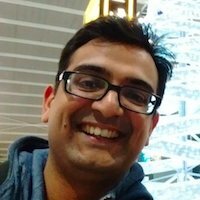 However, when you're not using those methods, for example when you're building a React UI for a Rails app, then you will find this tutorial helpful. jQuery does this conversion automatically before submitting a request. I assumed rails-ujs has some automatic way of doing it, but I couldn’t find anything in the docs or code. If you know, let me know. rails-ujs automatically takes care of including the CSRF token with the request. jquery_ujs takes care of including the CSRF token and jquery converts the data to application/x-www-form-urlencoded content type automatically. Make sure to remove the jquery-rails gem if you have it installed and remove jquery and jquery_ujs from application.js. And now you will be able to use jQuery for making your AJAX calls. axios is a promise-based HTTP library. You can use it to make HTTP requests from node.js (on the server) and also AJAX requests from the browser. We have to include the CSRF token header. Unlike jquery_ujs and rails-ujs, it’s not automatically included with axios requests. We can access the success and error responses using the promises syntax .then. Another option is to use fetch, but it’s an experimental API and not available by default in all browsers. So you’re best off using Github’s polyfill library. I prefer axios to fetch because fetch responses need to be first converted to json and the error handling can also be confusing.